You need a strategic marketing program if you want to sell your property and maximise your overall gross realisation. 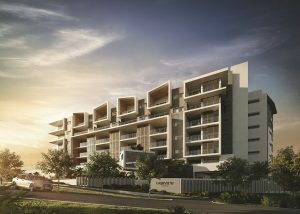 Gold Coast project marketing is highly competitive — not only do you need to build a beautiful property in a desirable location. You need to know how to position your product to sell it to potential buyers and achieve your pre-sales target. Marketing Projects SEQ is your trusted partner in project sales and marketing on the Gold Coast. We have over a decade of experience managing the sales and marketing for off the plan projects. Our developer clients recognise our relationships, that span a global reach of agents that have a track record of selling in our past projects in the local area. We have a current database of over 1,000 referral agents and partners based locally, interstate and across the globe. A strategic and targeted approach is taken when trying to achieve development pre-sales. Our team specialises in market research, a targeted marketing plan after research is undertaken and lead generation which in turn results in off the plan pre-sales required for your development to proceed and succeed. Our team has a 100% success rate on delivering new projects to market that proceed to construction and settle. We have been involved in more successful developments from concept to completion than any other project marketing consultants in South East Queensland in the last ten years.